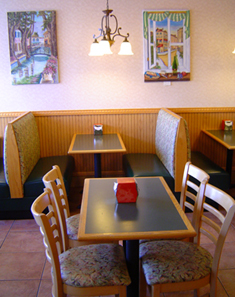 Ciminelli’s Pizza and Restaurant is located at 427 Central Avenue in Bethpage New York. Ciminelli’s has been established since 1988, founded nearly 20 years ago by William and Maureen Ciminelli, a hard working and devoted husband and wife team. We understand the importance of Customer Satisfaction and use o­nly the finest ingredients. We would like to thank our customers for all their support and patriotism. We feel confident you’ll enjoy Ciminelli’s Pizza and Restaurant for many more years to come. You can always reach us at (516) 939-0009. Designed by Restaurant By Click.